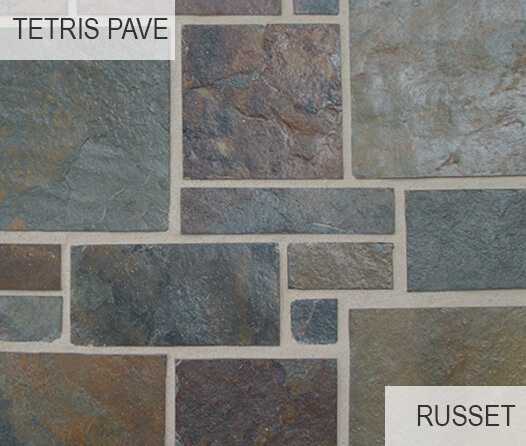 Enhance a worn-out VERANDA or add a decorative finish to harmonise a new PATIO. 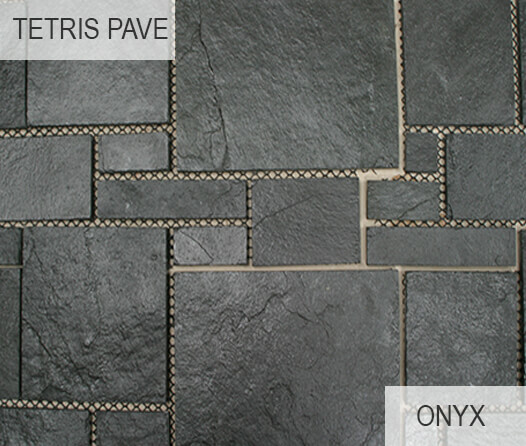 Our Crazy Paving provides texture and depth to a simple area. 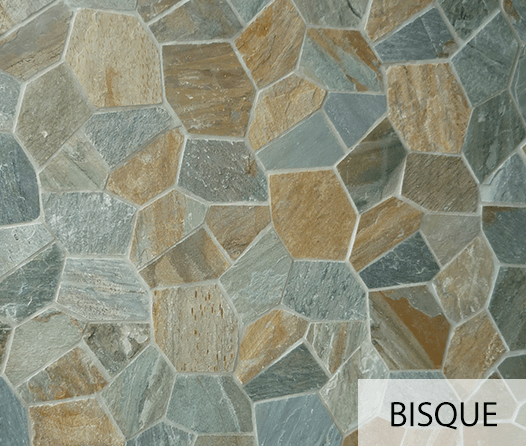 This range consists of Crazy Pave 6 piece machine cut in Russet, Onyx and Bisque and Tetris Pave Russet, Onyx and Bisque. 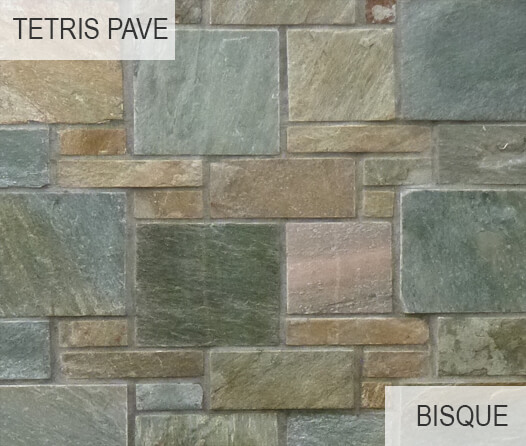 Laying the interlocking pavers saves installation costs as there is no need to cut them. We also have a range of sealers available that can be used to darken or highlight the colours of the stone. 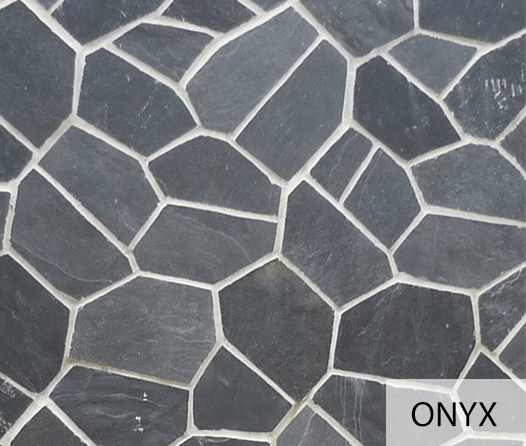 Because the DecoR Crazy Paving is made of NATURAL STONE, no two sheets of the crazy pave are identical. 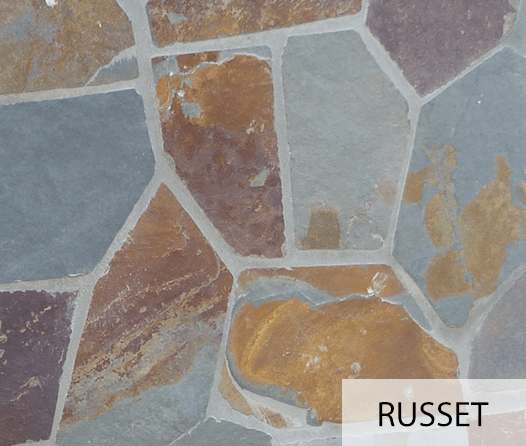 NOTE: Decor Stone always recommends to seal your Crazy Paving to finalise the application.